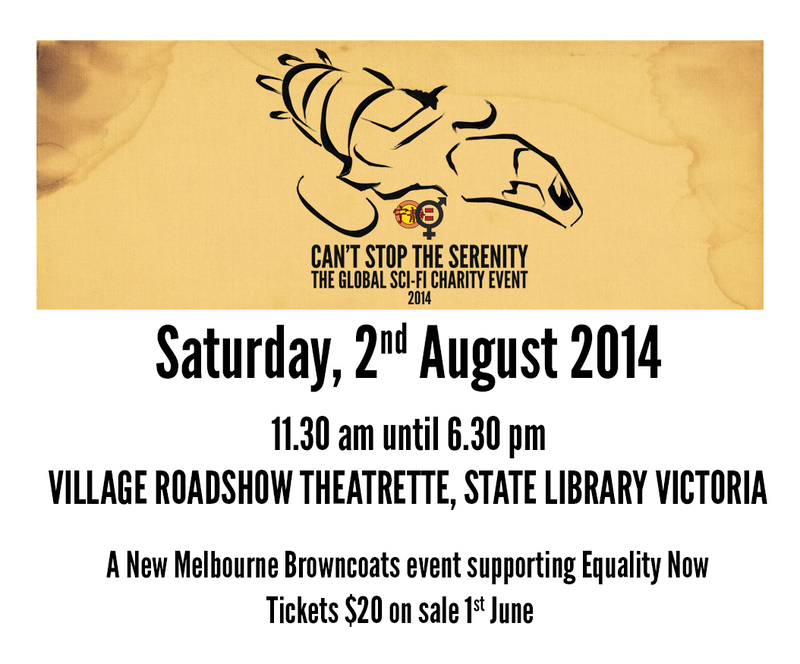 New Melbourne Browncoats, Inc. | Can’t Stop The Serenity 2014 Tickets Now On Sale! Can’t Stop The Serenity Melbourne 2014 New Charity Auction! Signed photographs for Equality Now! Can’t Stop The Serenity 2014 Tickets Now On Sale! Head on over to bit.ly/csts2014 to get your tickets to this years event!